Roy has walked the talk and taken just about every step from the bottom to the top. There were no shortcuts from the front line to the boardroom as he climbed twenty layers of management during his nearly double decade tenure at Marriott International. He connects with people because he speaks from passionate, in-the-trenches experience. His industry-leading work has been noted in several Harvard case studies as well as in best-selling books from Kaplan and Norton, and Peppers and Rogers among others. His performance excellence work resulted in Marriott being inducted into the Balanced Scorecard Hall of Fame. 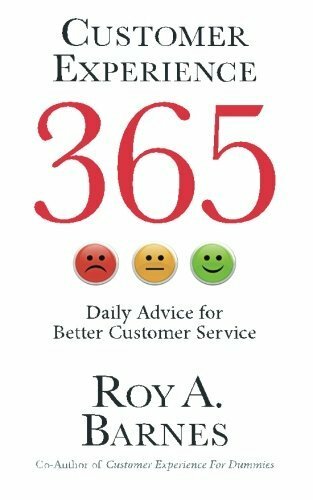 In the past 5 years, Roy has personally conducted direct front-line training for thousands of front-line employees including call center representatives, utility linemen, meter readers and service representatives, front of house retail and hospitality staff, customer experience designers and design technicians and security/police forces. Roy is a well-rounded, straight-talking professional who understands what it takes to transform both individual and organizational performance. He knows the hard lessons and teaches worldwide audiences how to break out, engage and reach new levels of performance. Get Roy to work with your people and watch the shifts happen. Start your inquiry now or call 321-388-6985. Roy Barnes is CEO of Blue Space Consulting, an Orlando-based firm focusing on helping for- and not-for-profit companies build competencies in leadership, customer engagement, team empowerment and change management. Learn more about Blue Space Consulting. To get a better sense of the diversity and delivery of Roy Barnes, browse these video segments gathered from a variety of keynotes, training videos, workshops and client testimonials. Among these videos are a few interviews with Roy where he talks about client experiences, follow through and his approach to getting measurable results. A positive customer experience is absolutely essential to keeping your business relevant. Today's business owners need to know how to connect and engage with their customers through a variety of different channels, including online reviews and word of mouth. 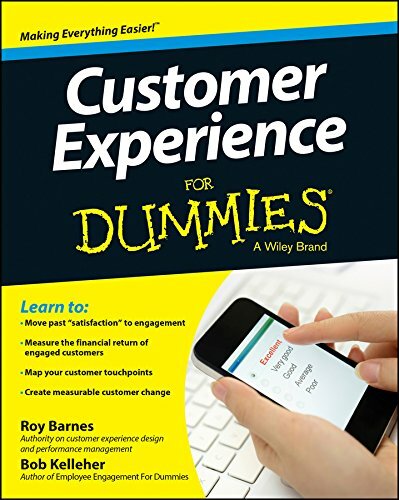 Customer Experience For Dummies helps you listen to your customers and offers friendly, practical, and easy-to-implement solutions for incorporating customer engagement into your business plans and keep the crowds singing your praises. The book will show you simple and attainable ways to increase customer experience and generate sales growth, competitive advantage, and profitability. You'll get the know-how to successfully optimize social media to create more loyal customers, provide feedback that keeps them coming back for more, become a trustworthy and transparent entity that receives positive reviews, and so much more. Your brand's reputation and success is your lifeblood, and Customer Experience For Dummies shows you how to stay relevant, add value, and win and retain customers. Changing organizational cultures to embrace customer centricity IS possible. It's just a lot of work! If you have children (or ever were a child) you probably remember the process of teaching your children how to properly use their spoon, knife and fork. In order to instill manners (behaviors) requires a constancy of execution that seems daunting at the beginning but really is just a matter of developing daily habits. To get a kid to use proper table manners is an everyday, every meal routine. Customer Experience 365 was born out of a number of client engagements where the desire to change daily customer experience/service behavior by employees was desired. Customer Experience 365 offers short daily reminders that employees can either use directly or supervisors can use as discussion points at daily stand up meetings/dock talks or shift meetings. How much more expensive is it to serve a customer that’s continually frustrated in their dealings with your company than with one who is not? What is the difference in the adoption rate of new consumer enabled technologies between those customer with whom you a connected vs. a transactional relationship? What is the financial cost benefit of having a larger percentage of your customers behaving "perfectly" by utilizing all the lowest-cost channels for service, payments and other transactions with your company? Return on Customer Experience (ROCE) is must focus metric for every sector of business these days. The recent customer mishaps of big brands like Toyota, Netflix and the Komen for the Cure Foundation are clear warning signals that dismissing the financial importance of Customer Experience would be both a short and long-term mistake. Click here to read the full article. READ ENGAGING CONSUMERS - 4 STEPS TO ENHANCING CUSTOMER EXPERIENCE BY ROY BARNES, PUBLISHED IN THE APRIL 2012 ISSUE OF AMERICANGAS MAGAZINE. Roy has the ability to quickly capture a team’s imagination and deliver compelling messages on the need for stronger change management leadership and customer focus. Over the course of several years, he also worked directly with my immediate leadership group to evolve our approach to strategic performance management. Roy Barnes has worked with people in a variety of industries from the board room to customer-facing front line positions. These people and their organizations each faced different conditions, economic climates and workforce fluctuations, and Roy knew how to help each one understand their realities and work to plan solutions that achieved results they could measure and use to increase their competitiveness. © Copyright 2018 Roy Barnes. All Rights Reserved.